As I was making a deposit at the bank last week, I struck up a conversation (as is my habit) with the young black man who happened to be the teller that day. It was a miraculous meeting of two people who, on the outside, seemed to come from two different worlds. In response to my question about his life, he shared his dreams with me. He was working full time and going to school to be a businessman. What kind of business, I asked? His dream is to own a youth center, as his grandmother did. But first, he explained that he is working toward his MBA so that he can be a role model to other young men. He went on to explain to me that where he was from there were no role models. He continued to share with me his excitement about making a difference and how that was all that was important to him. I left the bank moved to tears. I wanted to share with him that, where I came from, there weren’t any places to share your feelings either. I wanted to tell him that this is a universal pain. I wanted to say that while I did not resort to outward violence, I did resort to drugs and alcohol, and that I still suffer from an inward violence of self-loathing and judgment. If I had been able to be vulnerable, if I thought that he would believe me for one second, I would have told him that we are not that much different, we just hide our pain differently. He told me how the guys from his neighborhood had to act tough. I could have explained that I was told to act nice. Both are false. Most all of us were raised by emotionally-crippled parents. We were told, with action, words or attitude, not to express our feelings. We were made to feel bad and wrong, sometimes even in danger, for expressing our outrage, our frustration, our fear and anger. We all learned to numb our deepest fears and hurts. We were taught to mute our cries of pain. There is no place in any neighborhood where immature emotions can be tolerated so that they can be heard, forgiven and released. Immature emotions are as natural as making mistakes when first learning any new mental task. 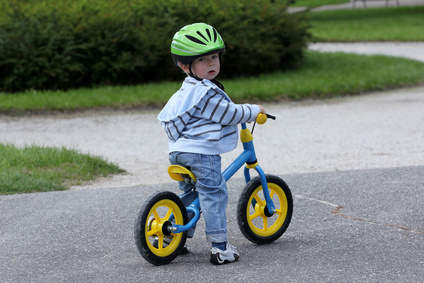 Expecting a child to understand that screaming at the top of your lungs is not the best way to ask for what you need, without any kind, supportive methods in place, is like expecting a child to learn to ride a bike with no instructions whatsoever, all the while punishing her for falling. This feeling rarely goes away, but we usually are not present to it until there is a major crisis – or even a very minor trigger. At these times it seems like the crisis or trigger is the problem. If you are willing to watch yourself, be curious, with no judgment at all, you will begin to hear the childish wailings. We were all hurt as children. Everyone. These hurts, unless they are felt, expressed, and released with no judgment, still dictate how we respond to life. This pain, when left underground, interferes with our natural creative and intuitive abilities. The fear of having love withdrawn keeps us from ever truly loving. We keep ourselves safe out of the fear of being hurt again at the cost of our very lives. All of us. No matter the neighborhood.